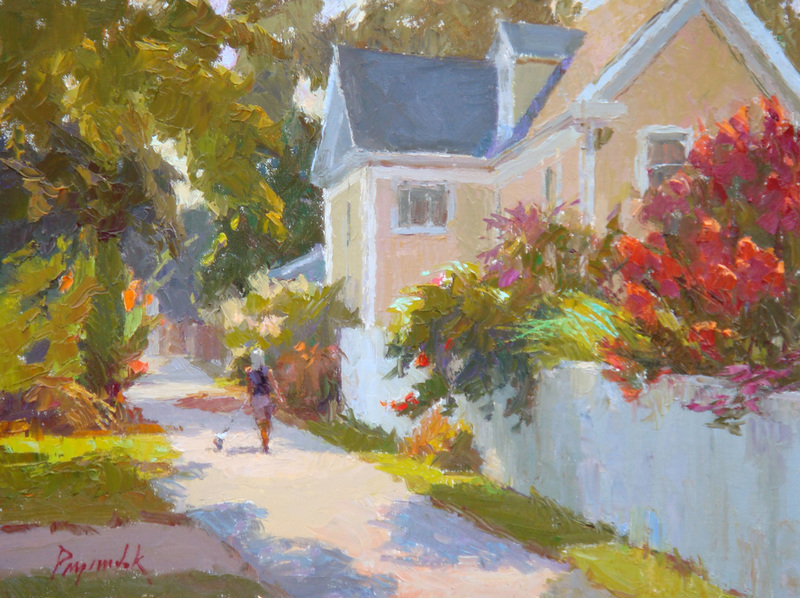 Camille Przewodek was born in Detroit, Michigan. 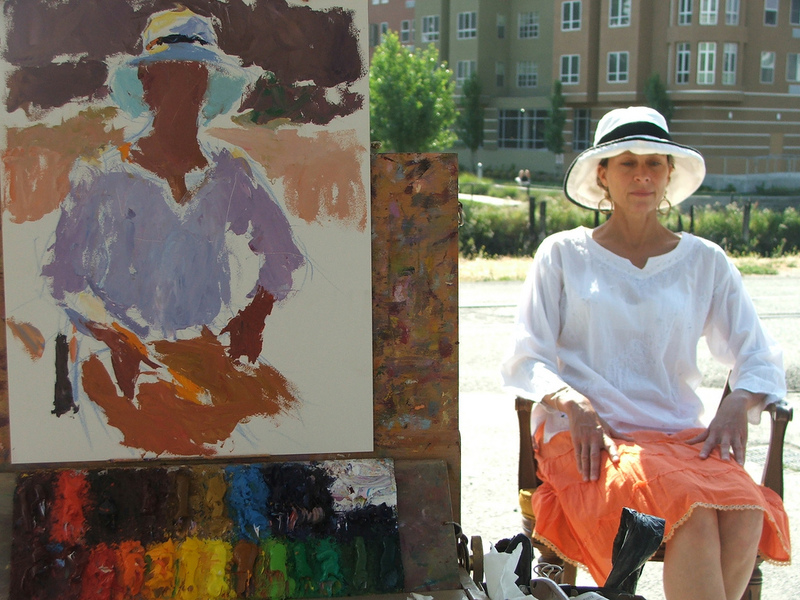 She grew up inspired by her artistically-talented brother to pursue a career in art. 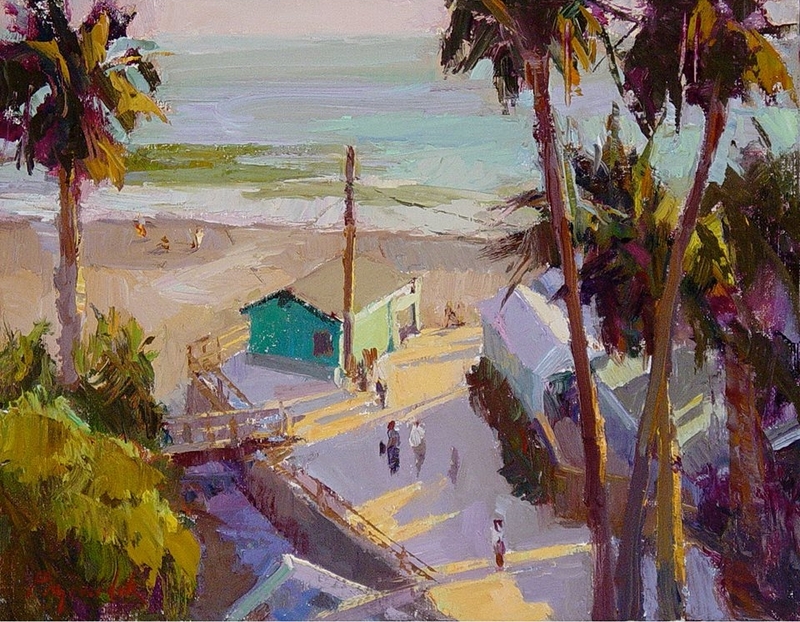 After graduating with a degree in painting from Wayne State University, she migrated to the West Coast. 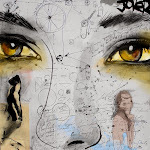 A perennial student, she saw fit to expand her “left brain” education with several semesters of political science at City College of San Francisco. 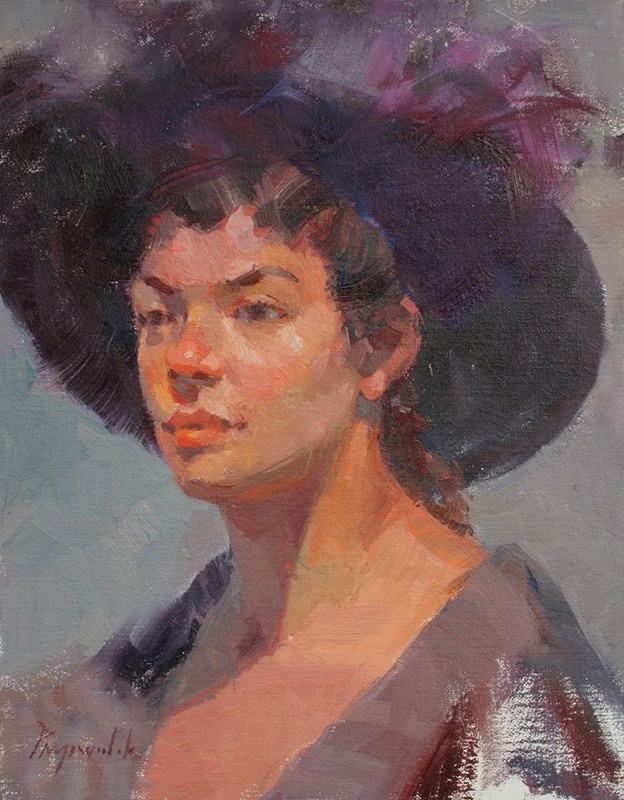 Later on she decided she’d like to train as a commercial artist so she enrolled at the Academy of Art College, earning a BFA in Illustration. 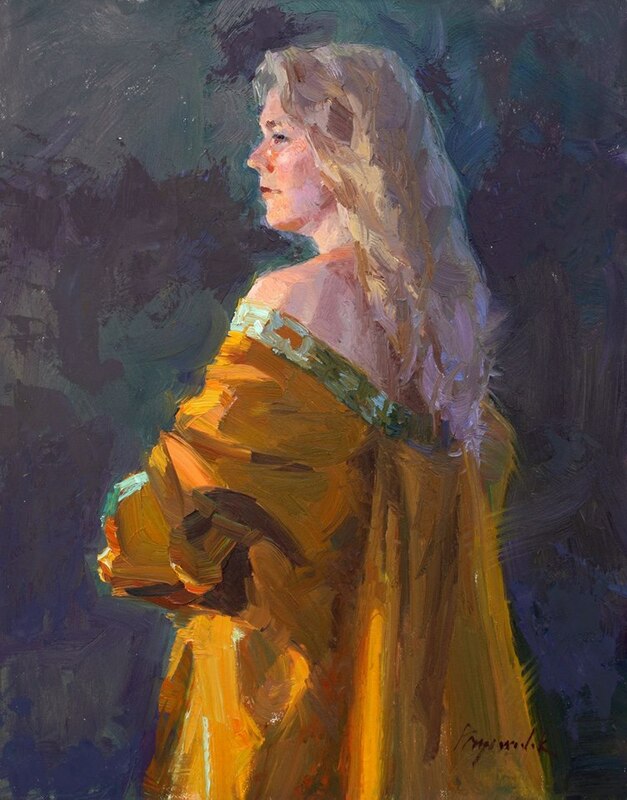 At this point she met her future husband, Dale Axelrod, who introduced her to master painter, teacher and colorist, Henry Hensche. 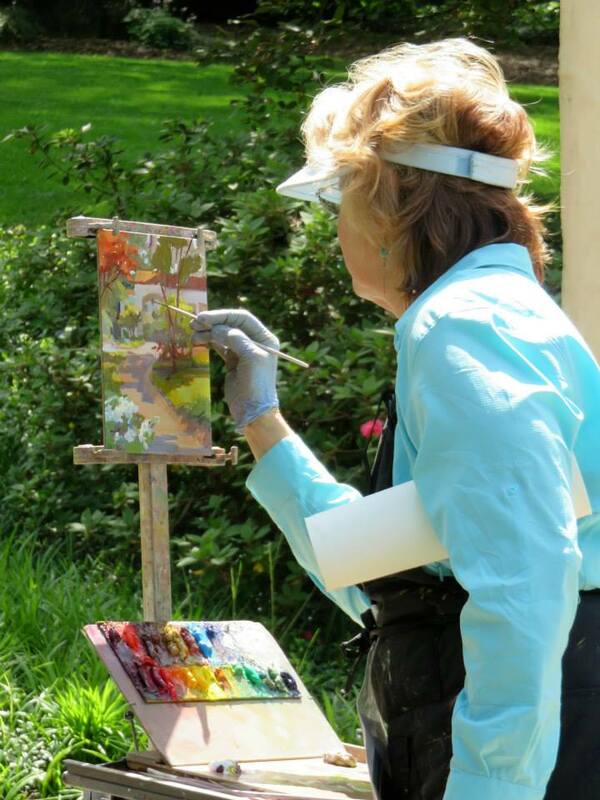 Hensche had been the assistant instructor to famed American Impressionist painter and teacher Charles Hawthorne. 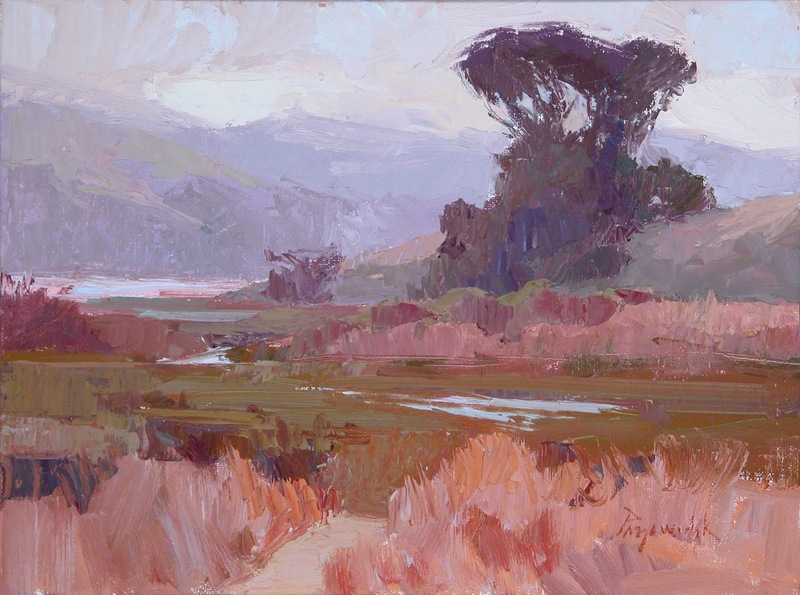 Hensche had taken over the renowned Cape School of Art (which Hawthorne had founded in 1899) after his death in 1930, in order to continue to develop and disseminate Hawthorne’s revolutionary color painting principles. 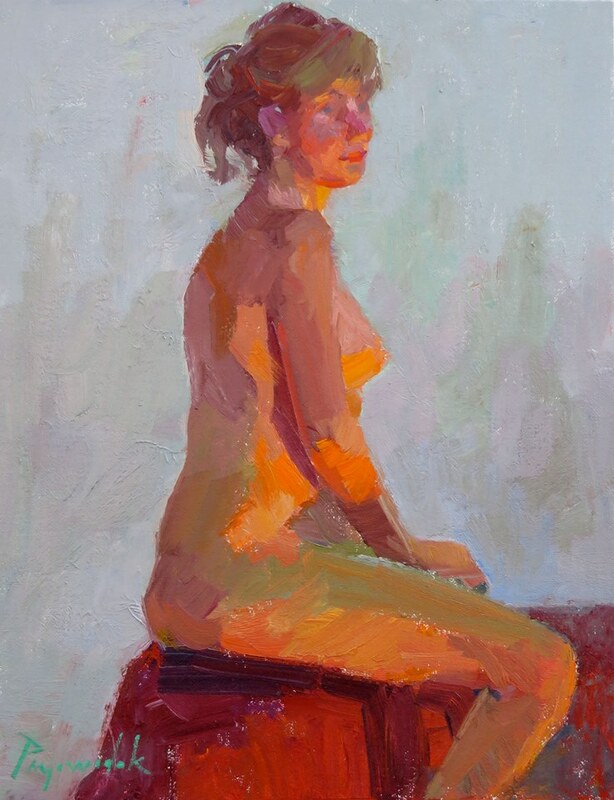 Camille immediately recognized the rare opportunity of studying with a true master, and began studying with Hensche during the classes that were offered each summer at the school in Provincetown, Massachusetts. 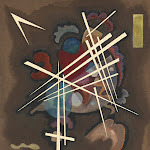 While studying with Hensche over a series of summers, Camille’s career as a commercial illustrator began to take off. 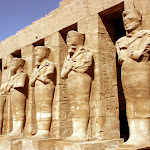 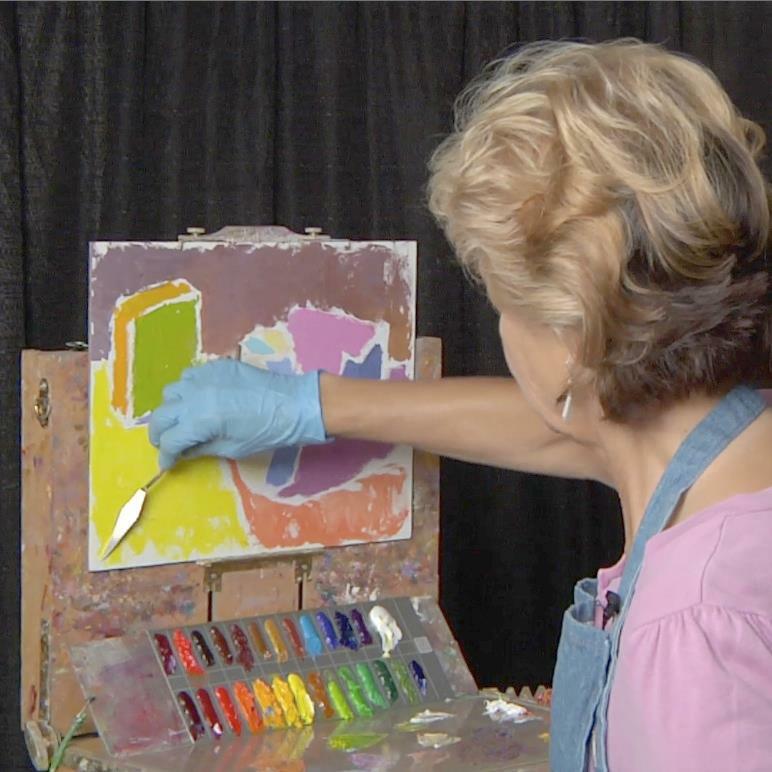 Her previous fine art training brought her much success, particularly due to the ability to use color that she had gained by studying at the Cape School. 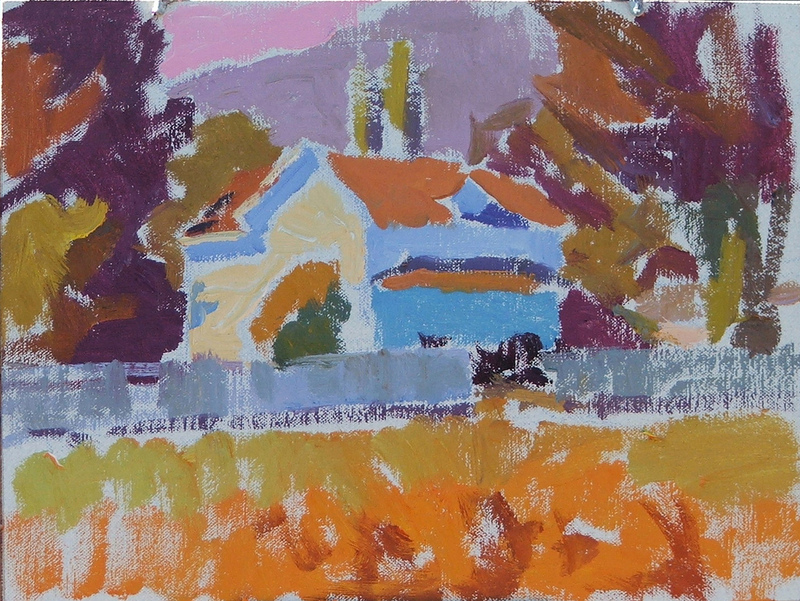 Her Impressionist painting approach was unique in the field of illustration. 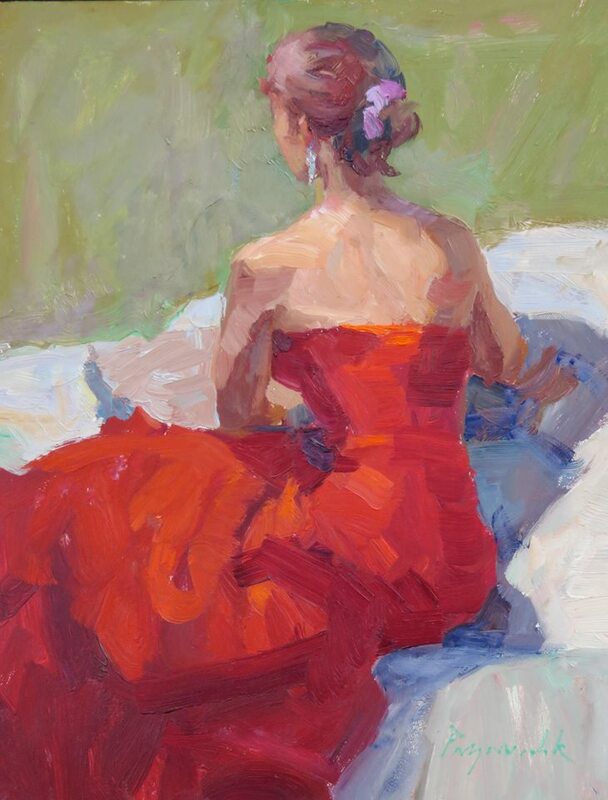 It landed her a number of high-end jobs. 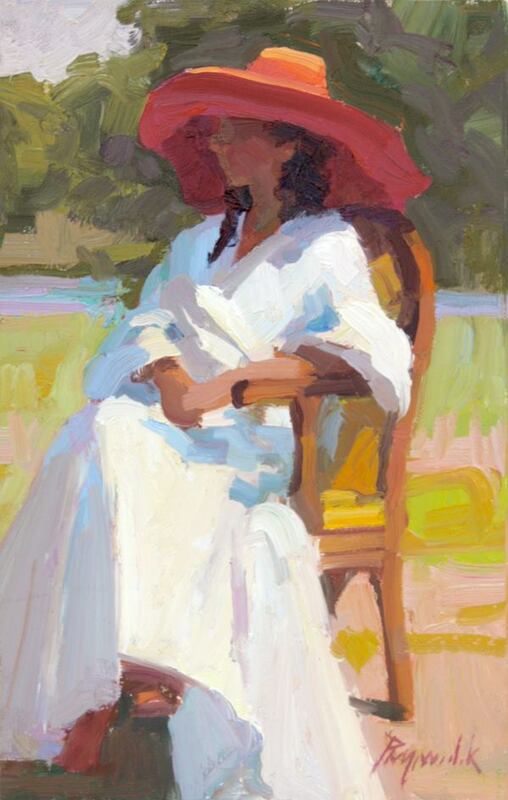 However, after a few years she grew tired of deadlines and felt she was wasting time bidding on jobs. 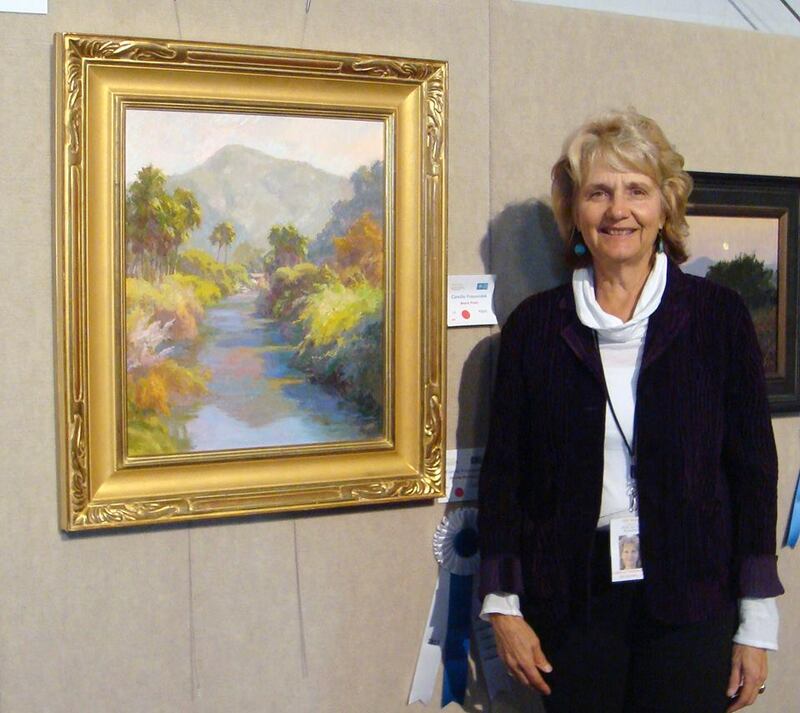 Her passion for painting led her to drop illustration in favor of proceeding as a full-time fine artist. 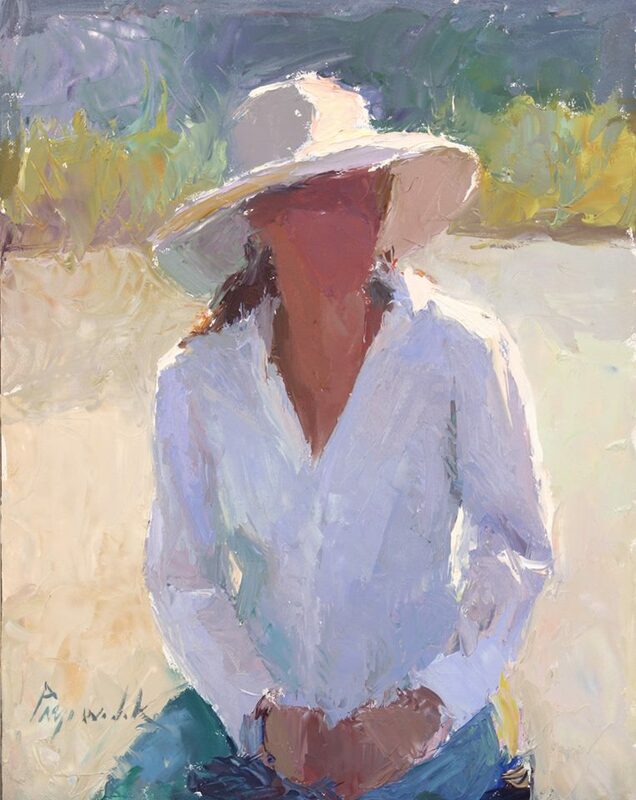 And Camille hasn’t looked back since. 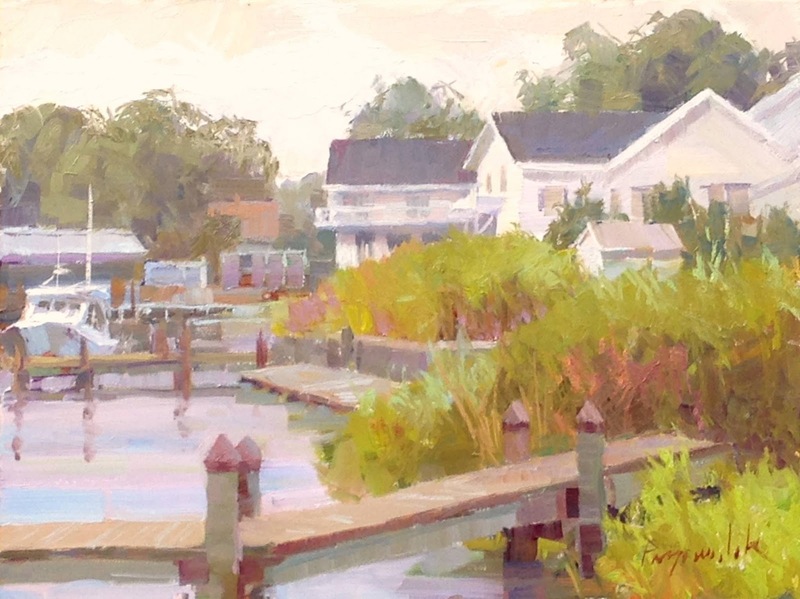 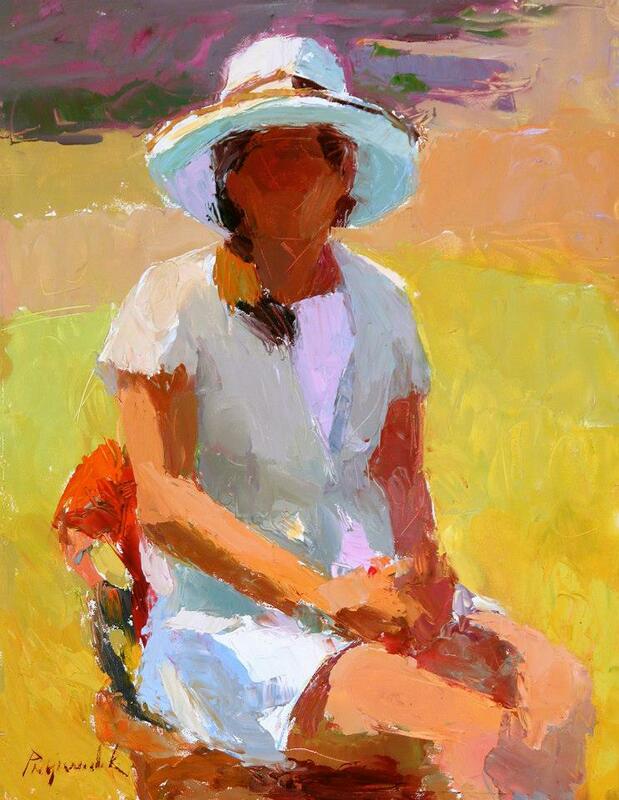 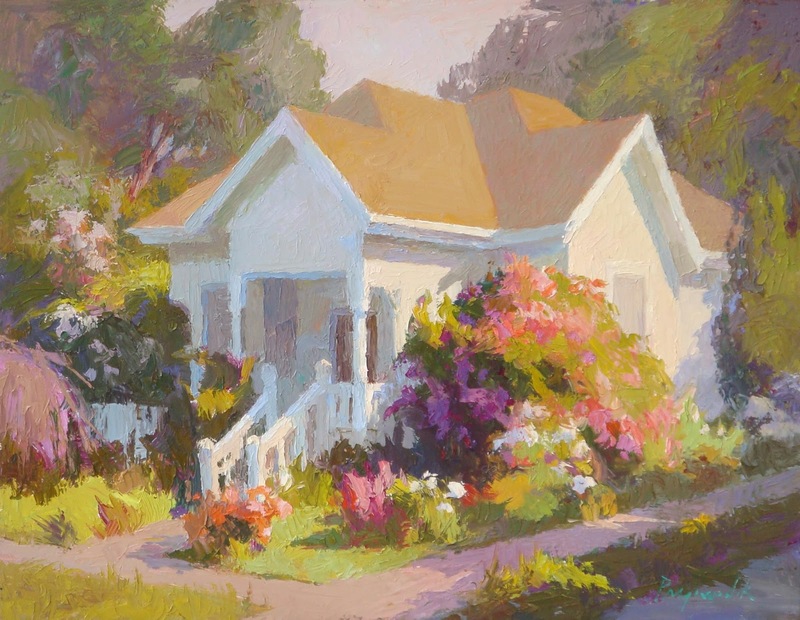 She has gone on to win numerous awards, continues to sell her work to collectors knowledgeable in Impressionism, and works hard at passing on the Hensche-Hawthorne colorist painting principles. 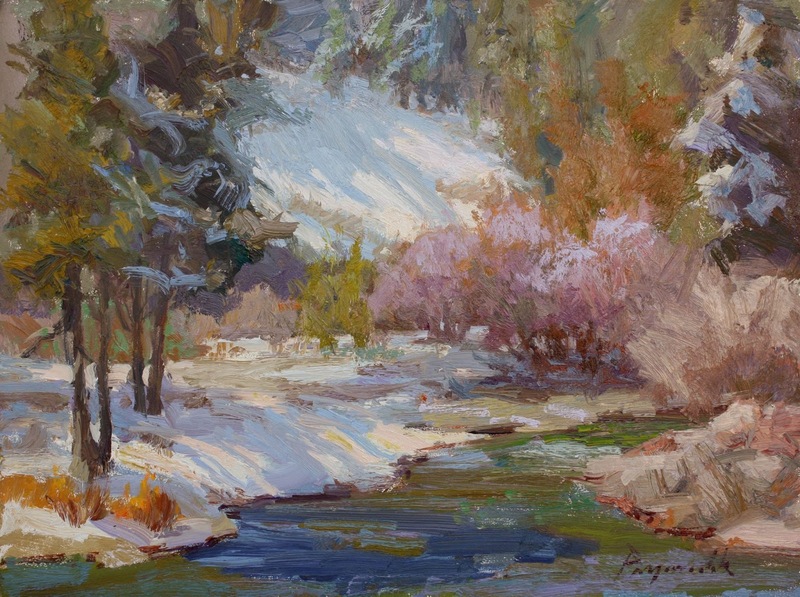 Her paintings and her approach to capturing the colors and light effects of nature have been featured in many books and magazines, as well as on DVD. 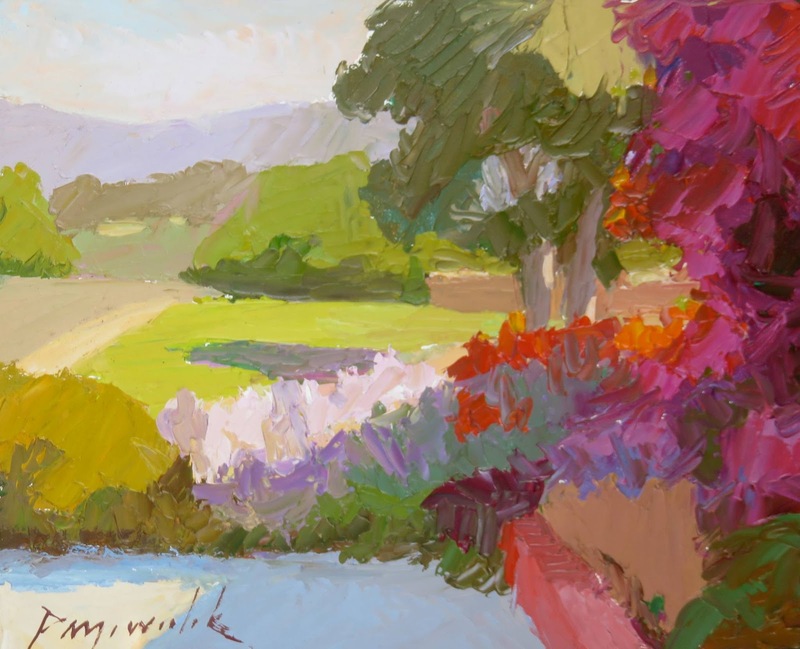 Camille is an acknowledged authority on color who regularly serves as an entry and awards judge for various painting competitions and events. 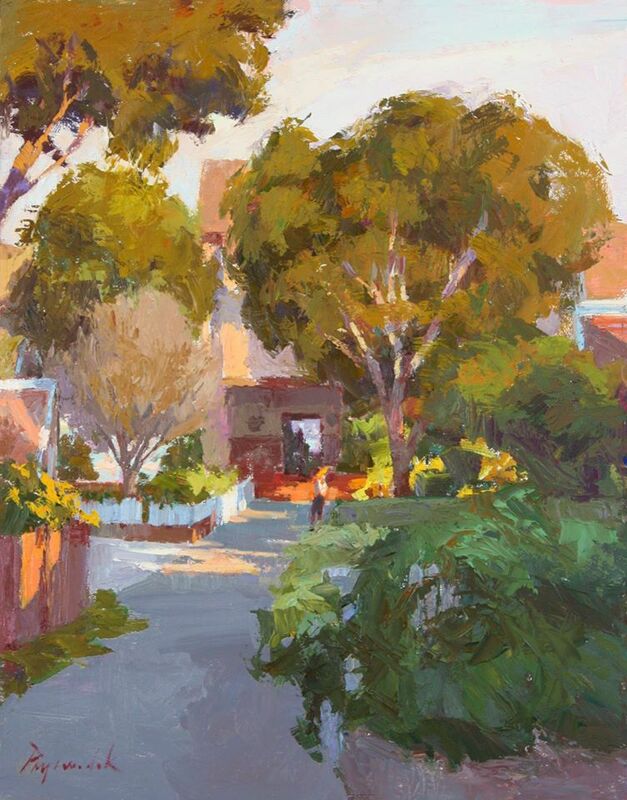 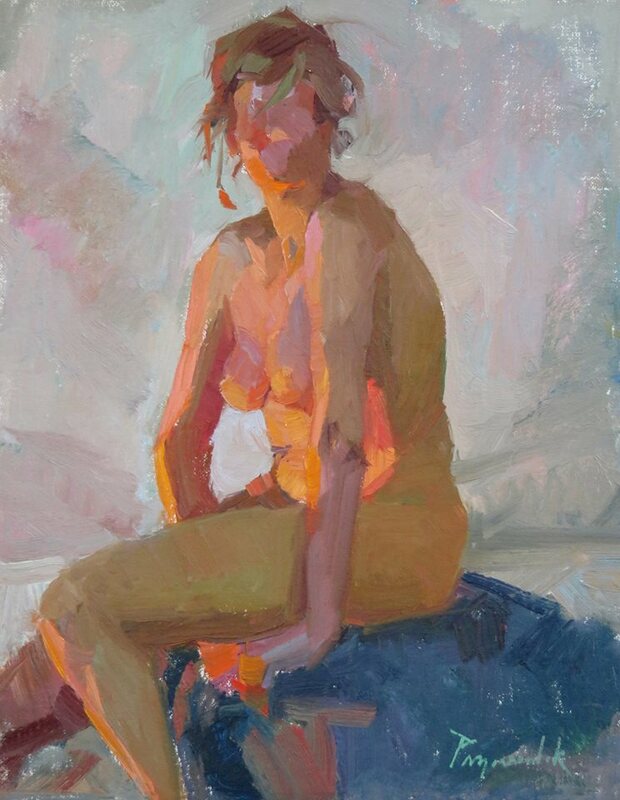 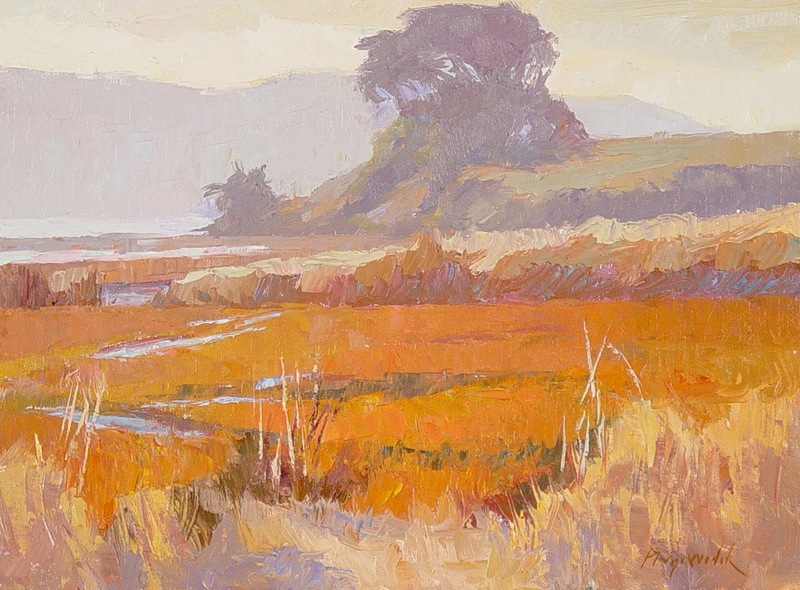 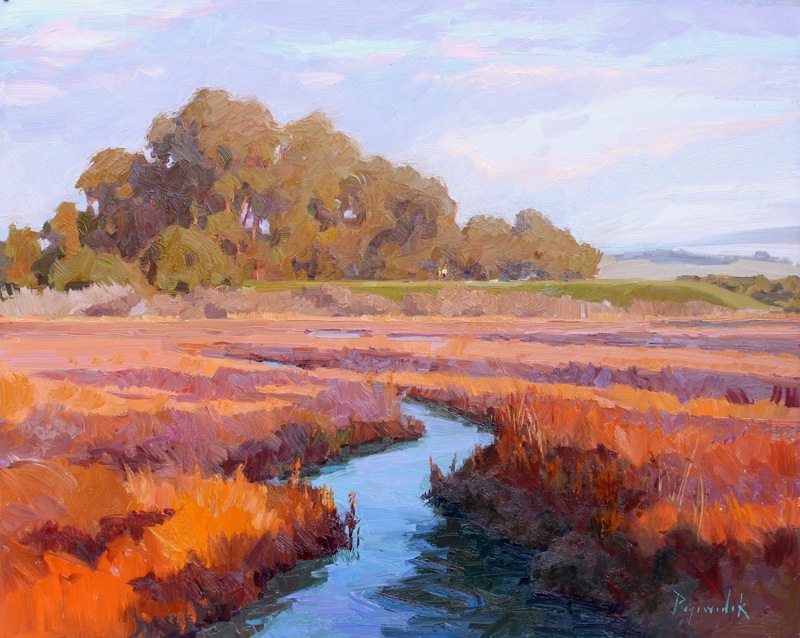 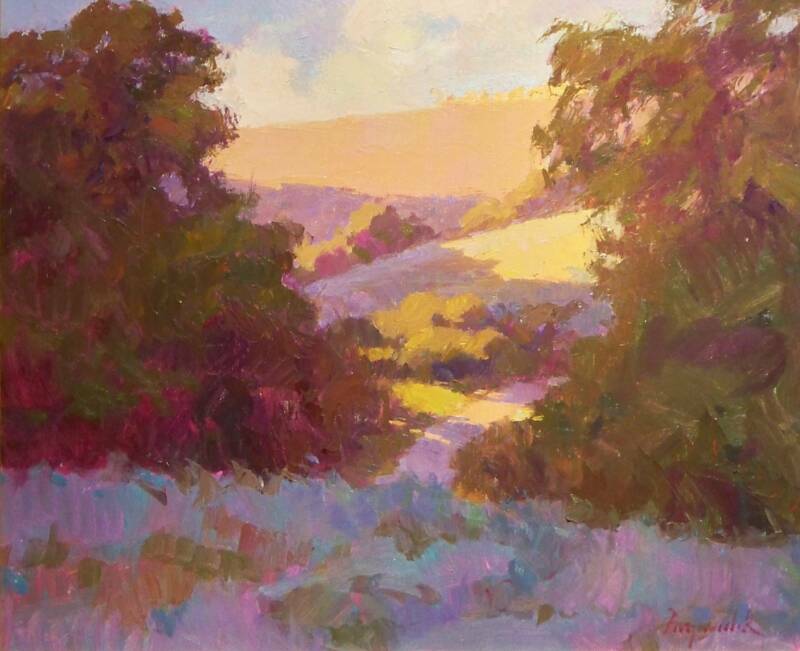 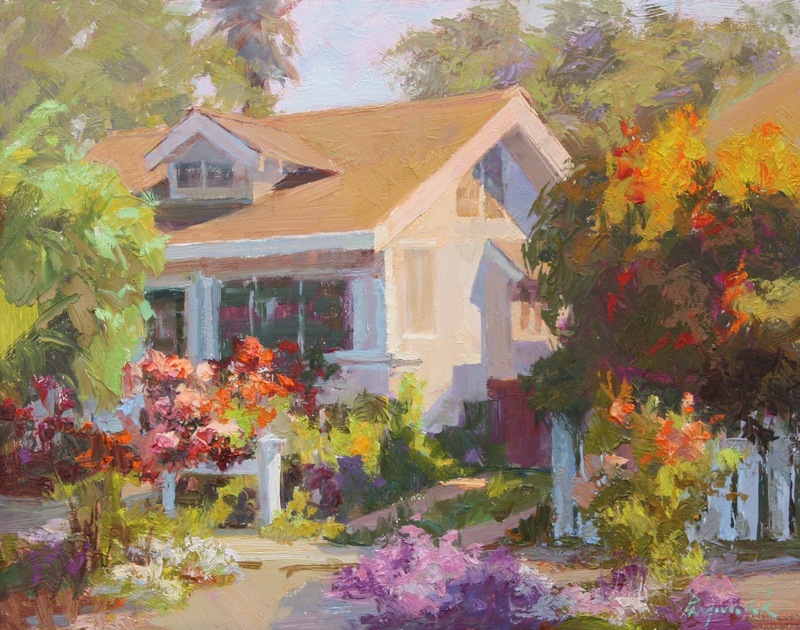 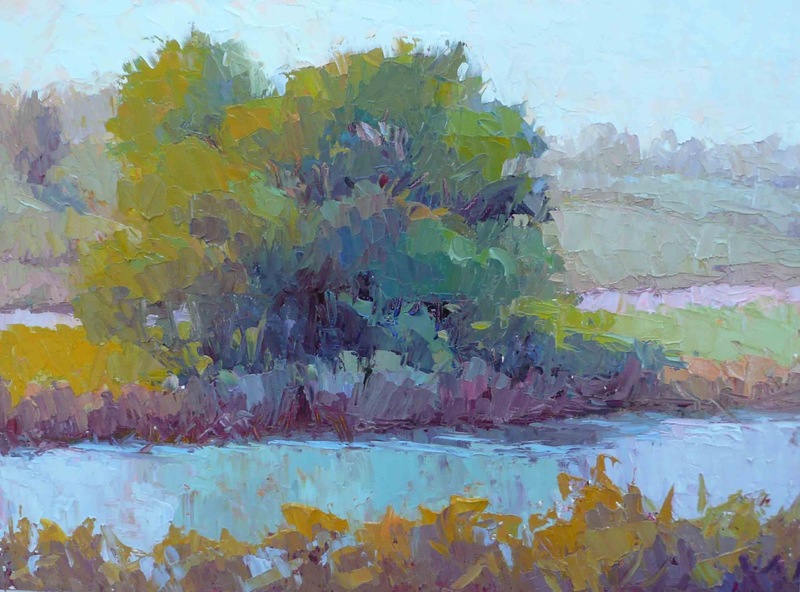 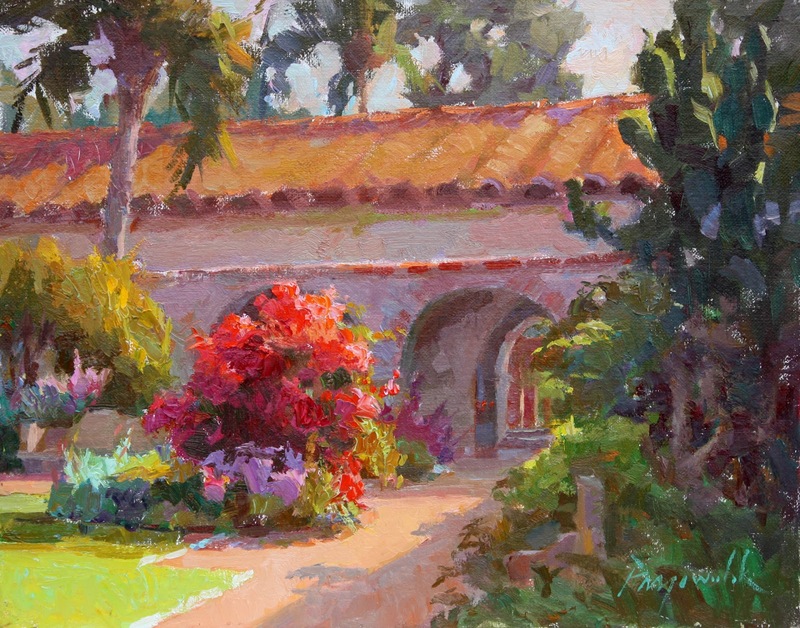 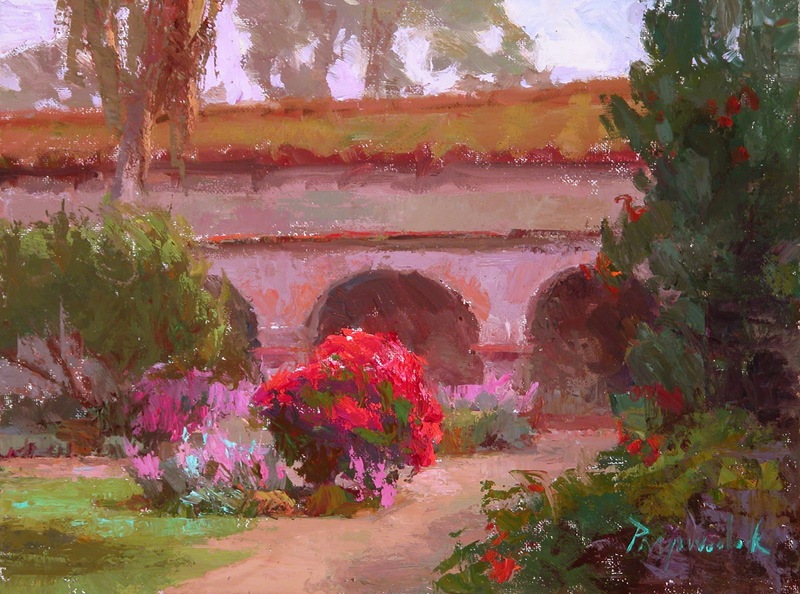 She is also a much sought after instructor who annually teaches painting workshops across the country, and offers regular weekly classes close to home at her studio in Northern California. 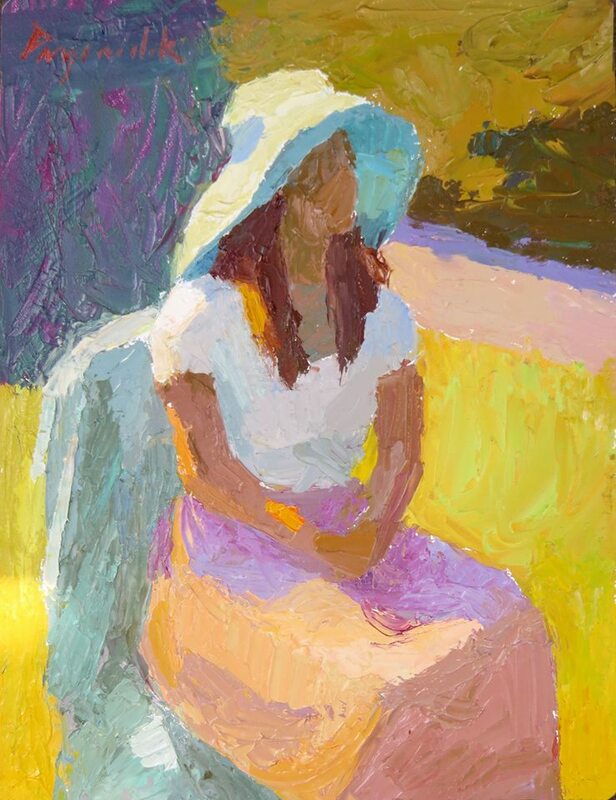 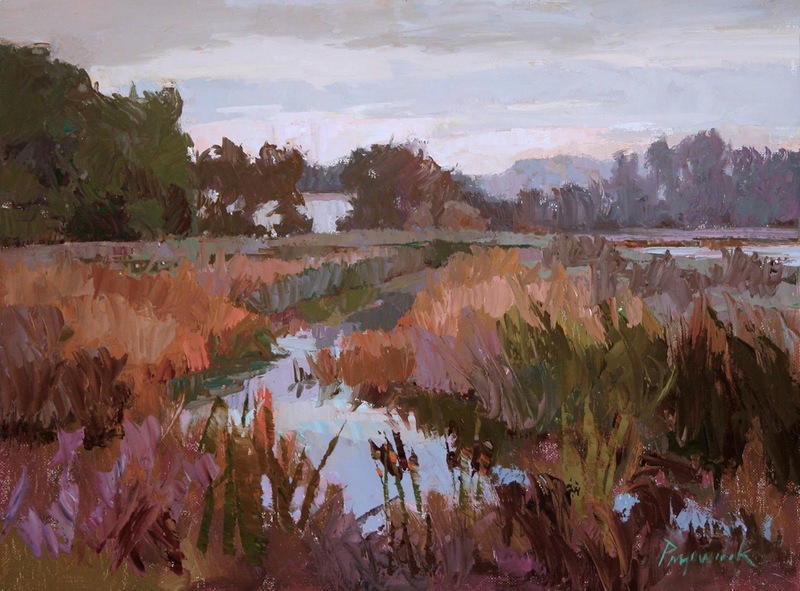 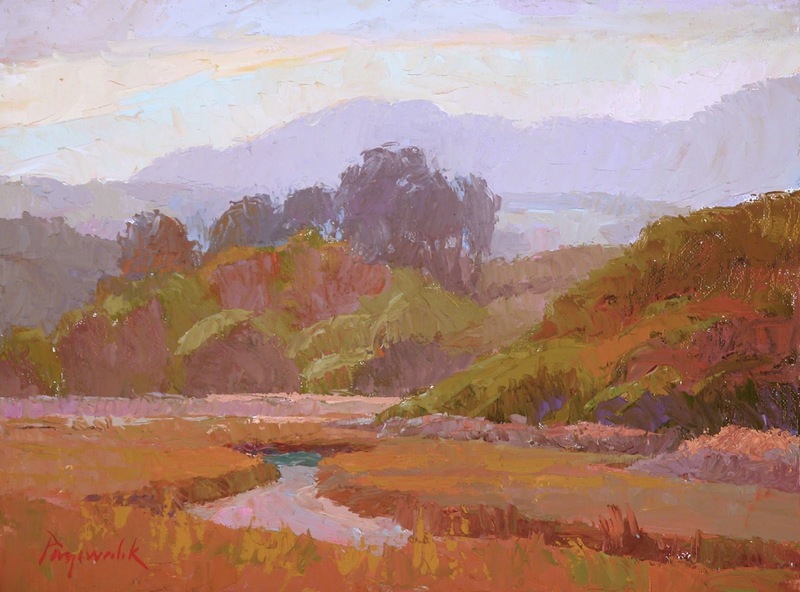 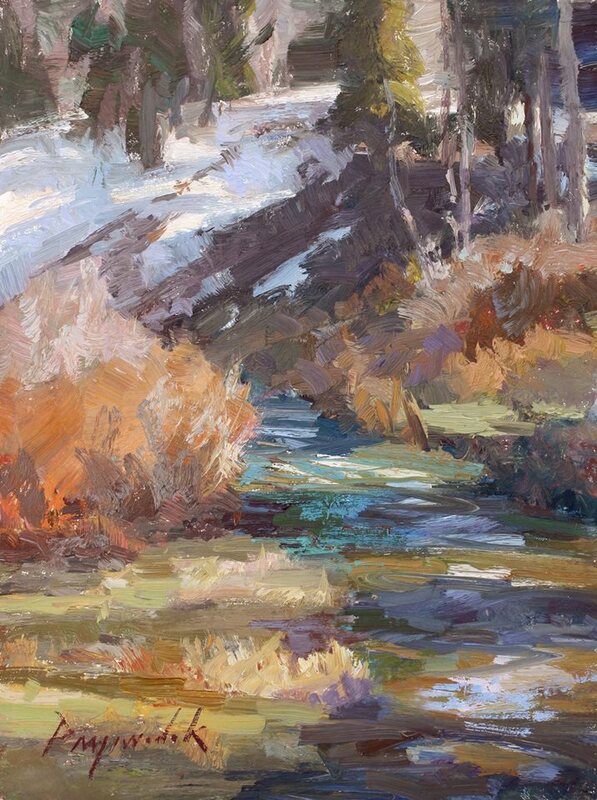 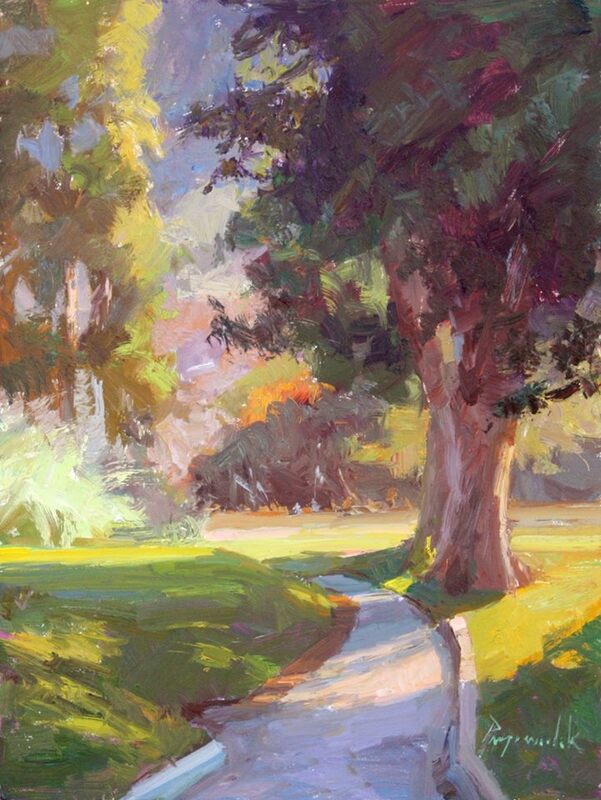 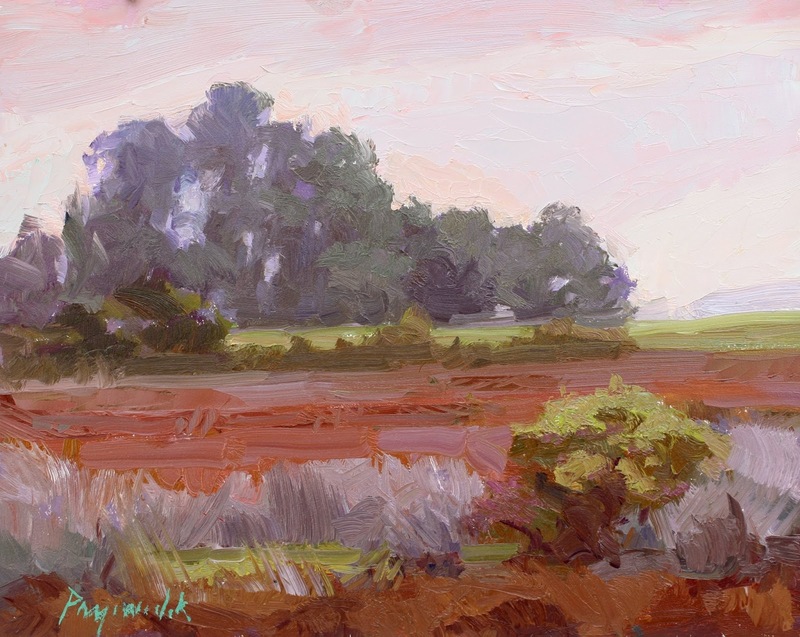 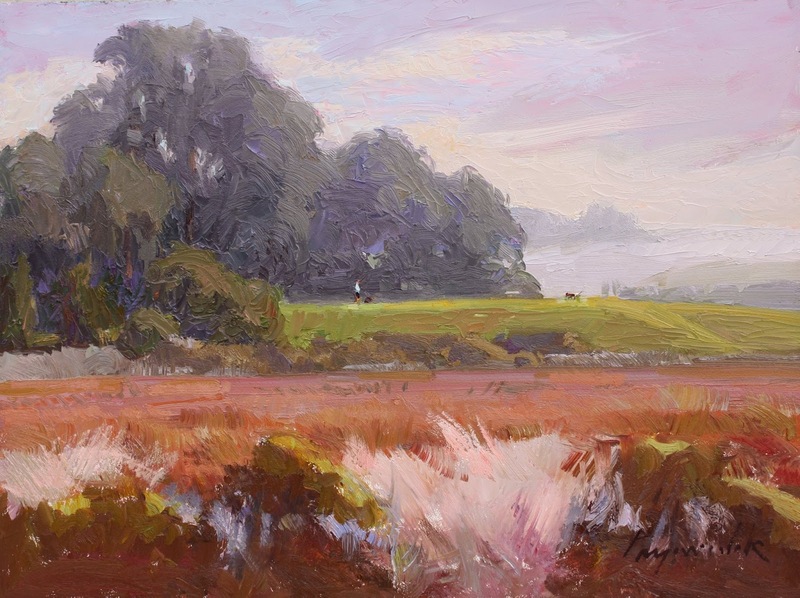 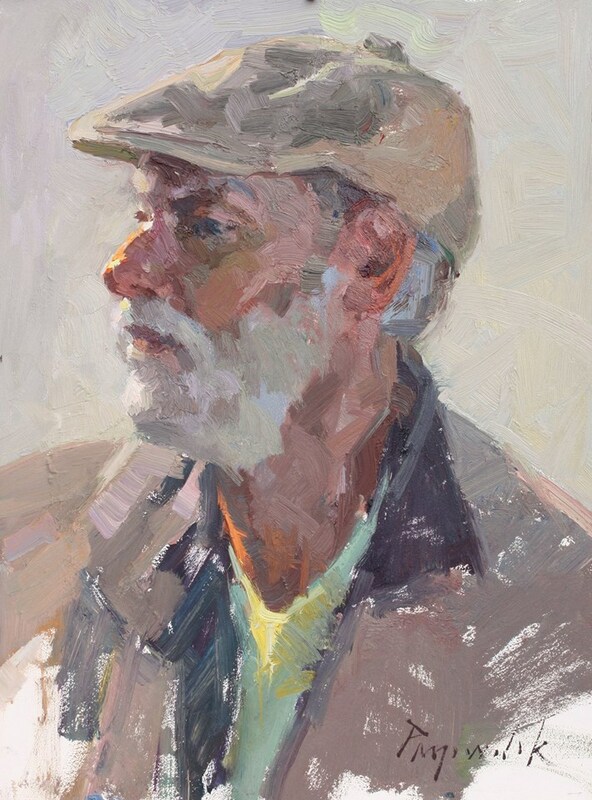 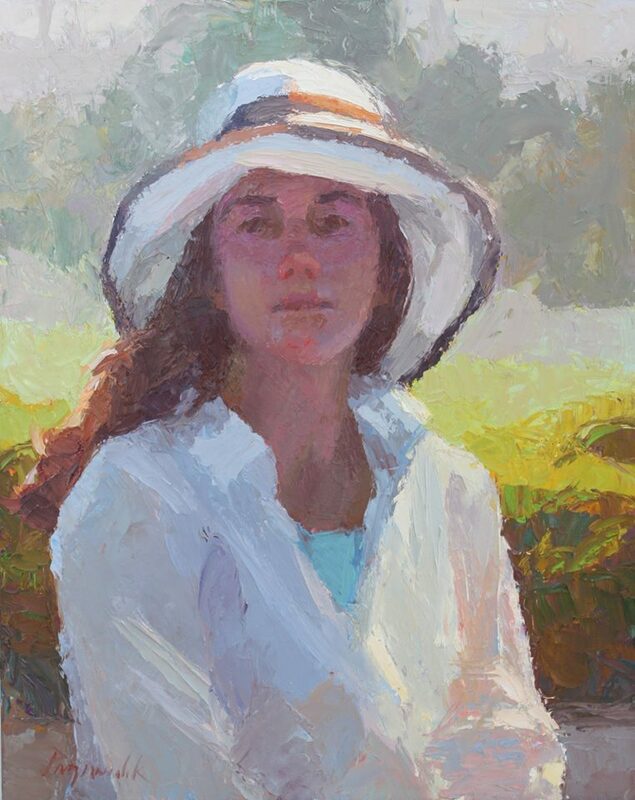 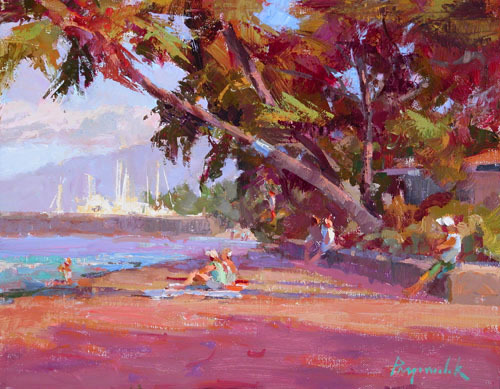 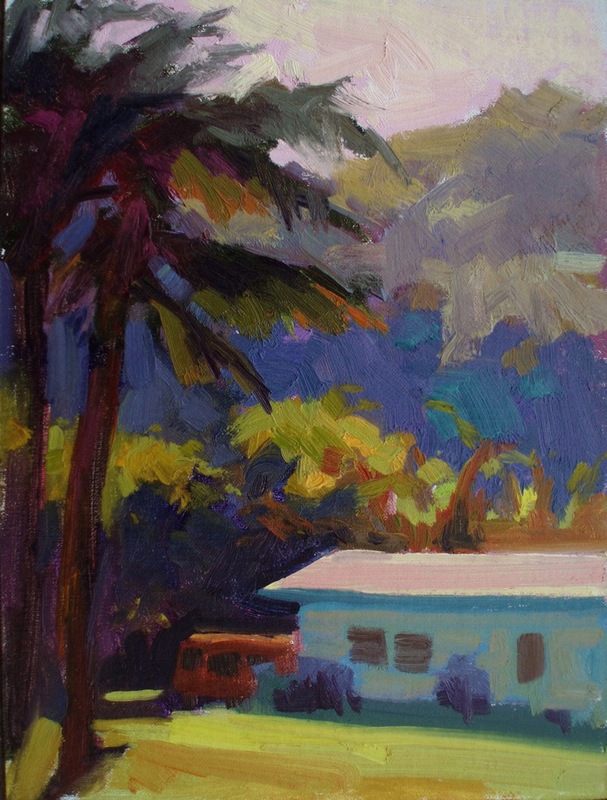 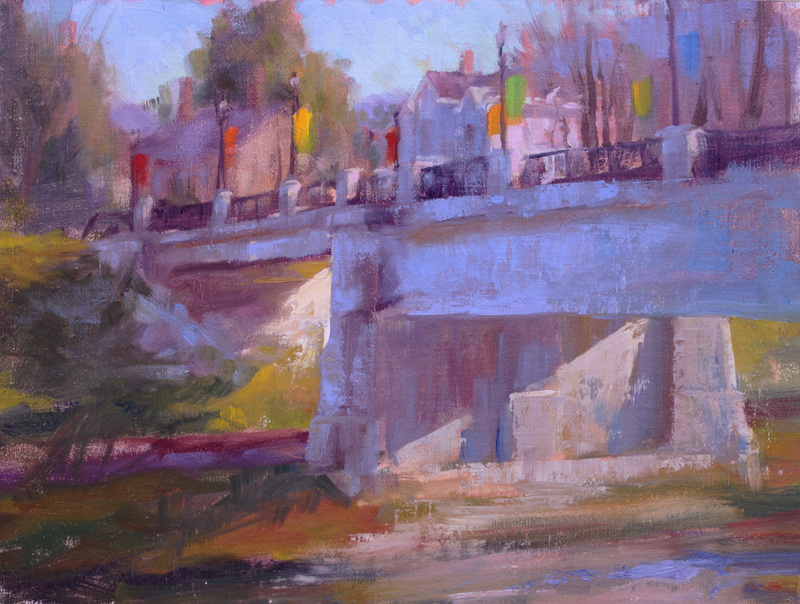 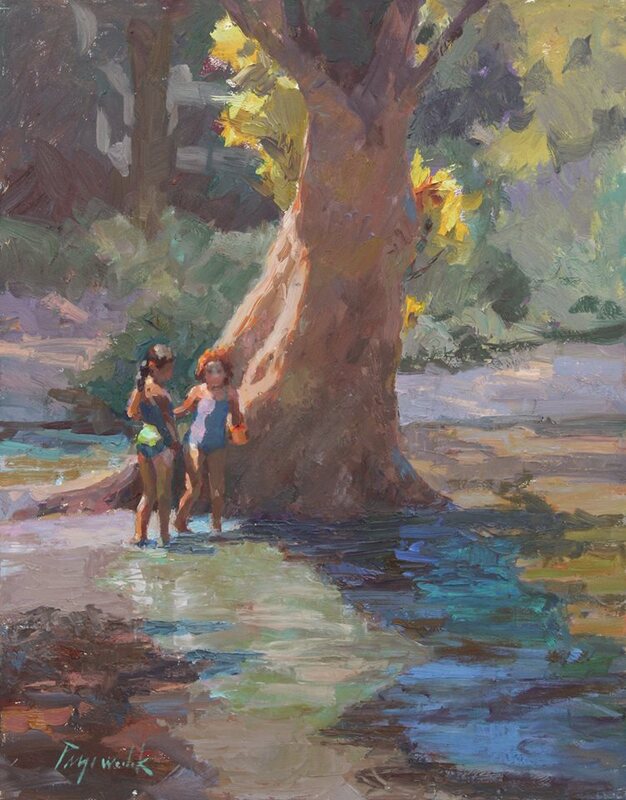 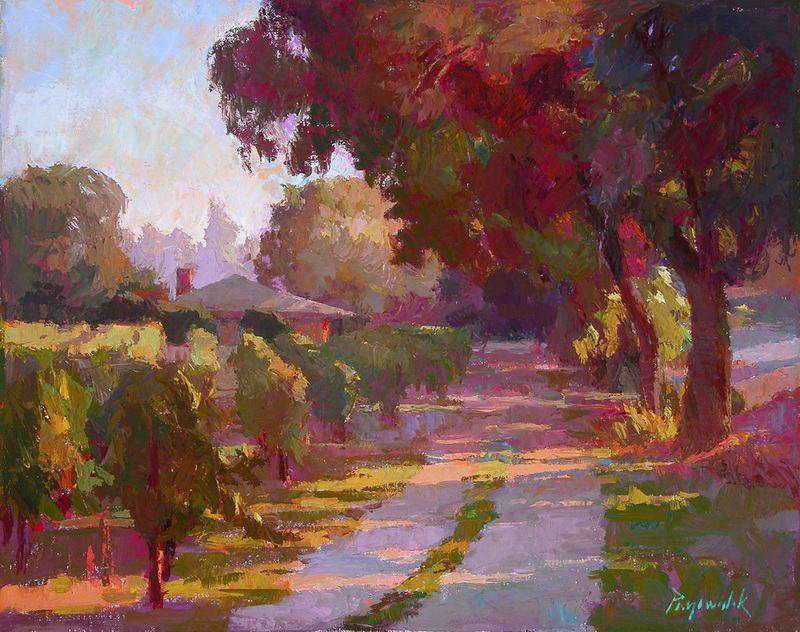 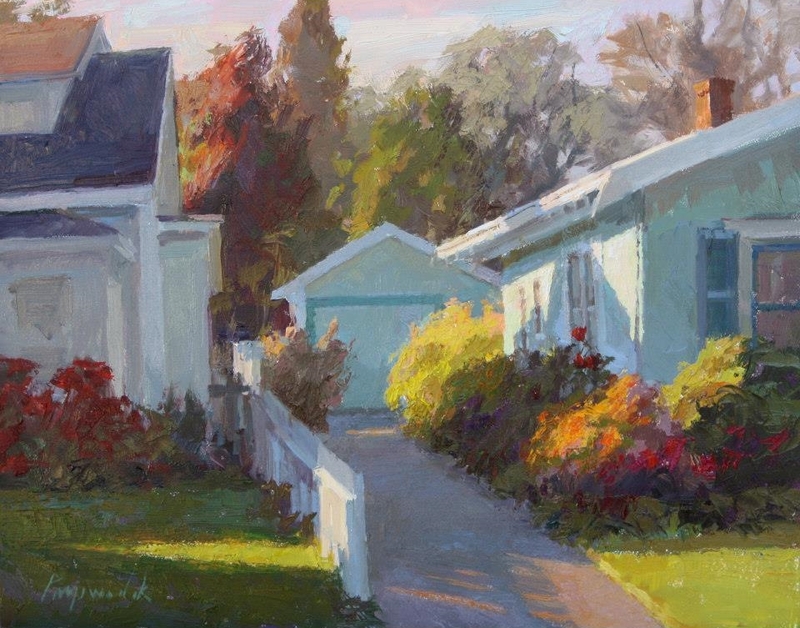 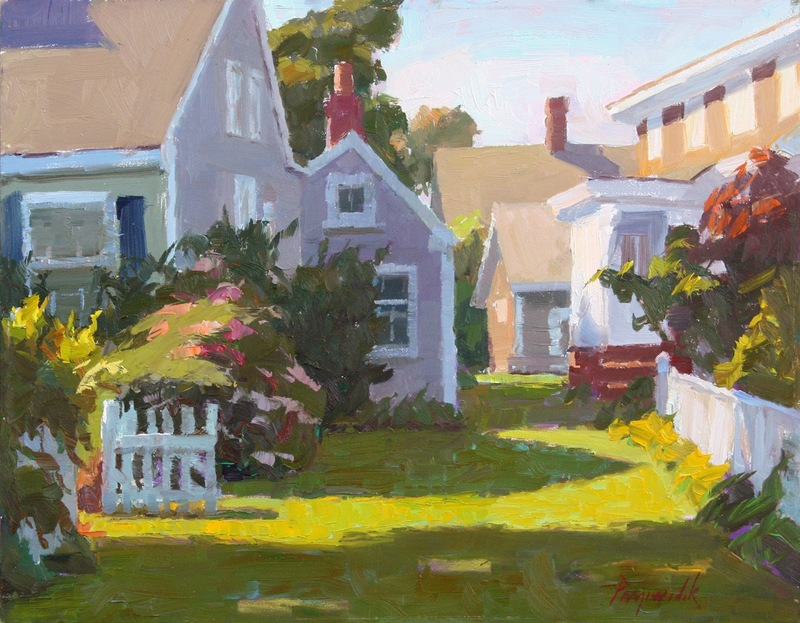 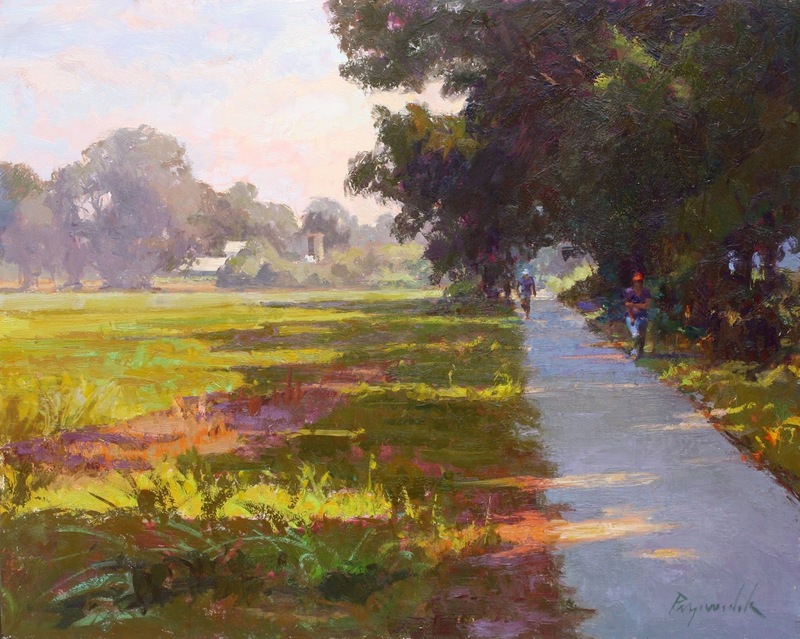 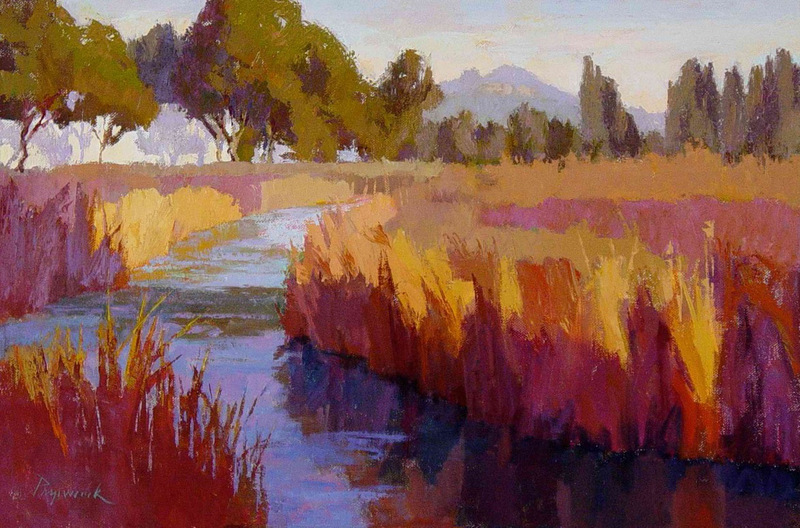 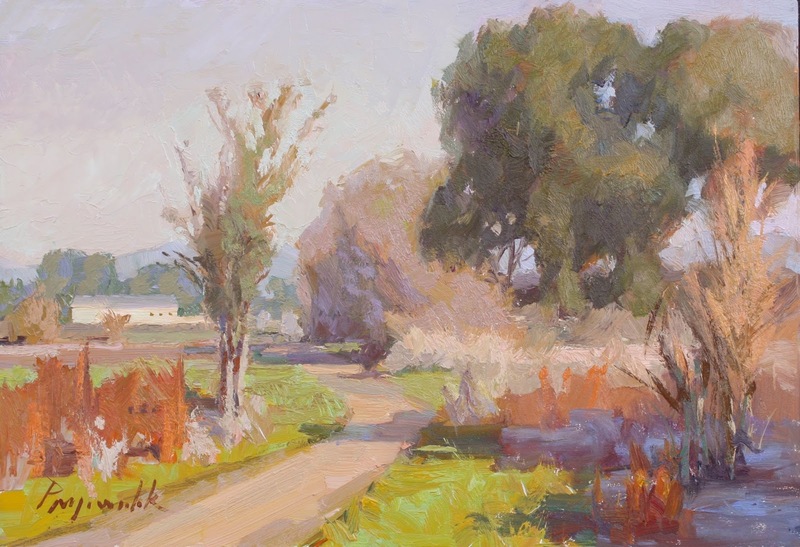 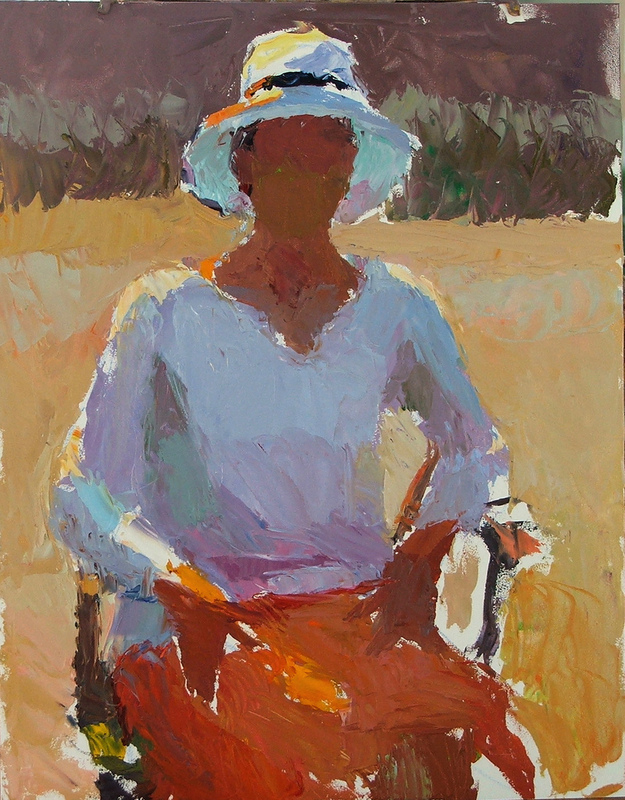 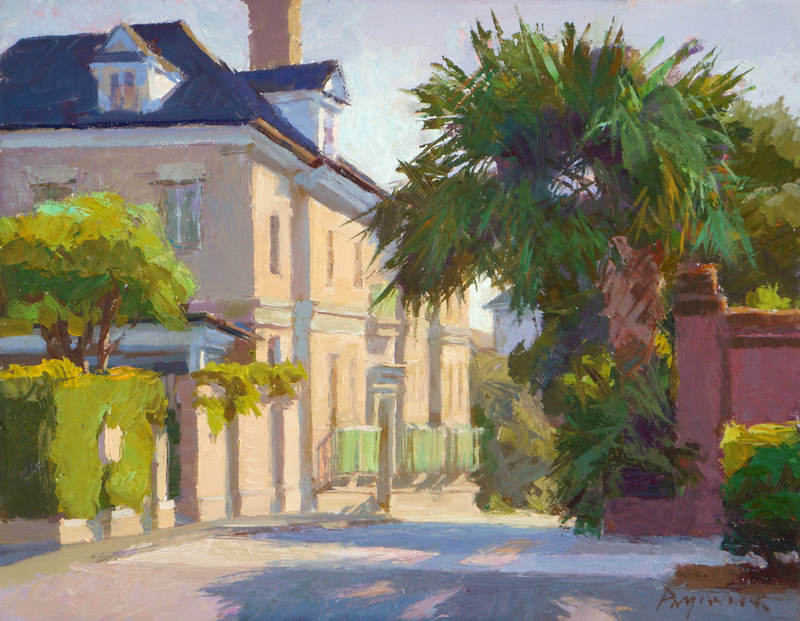 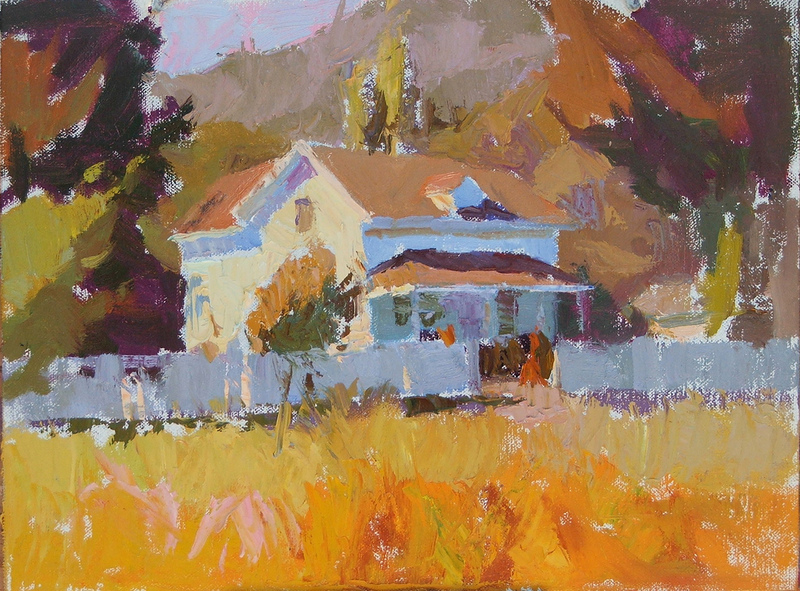 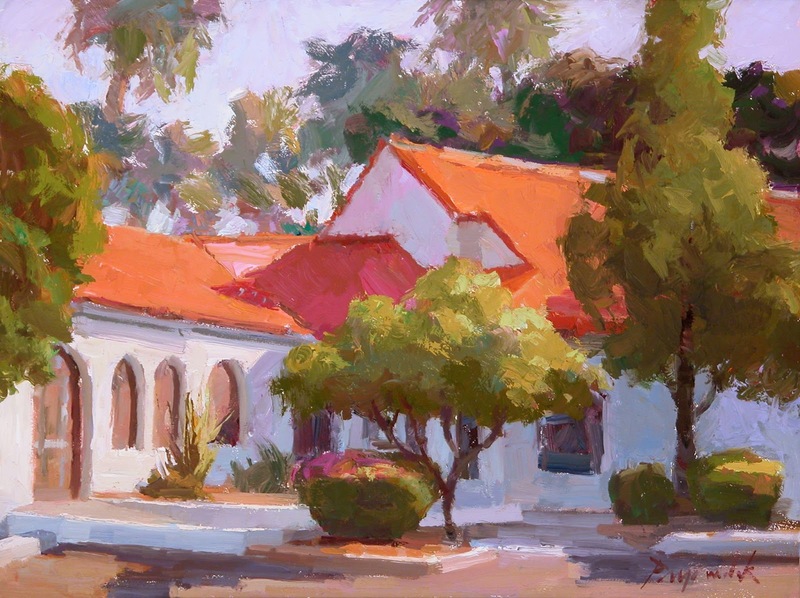 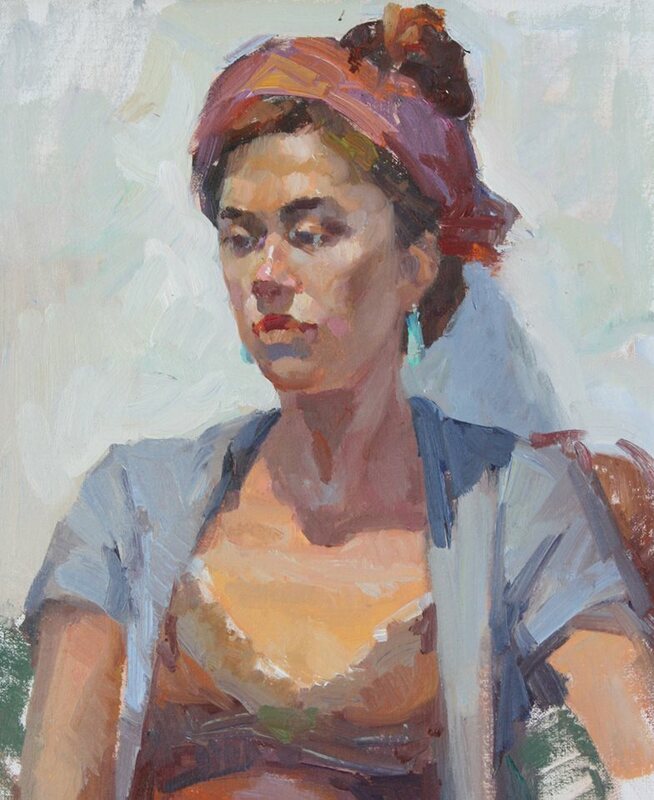 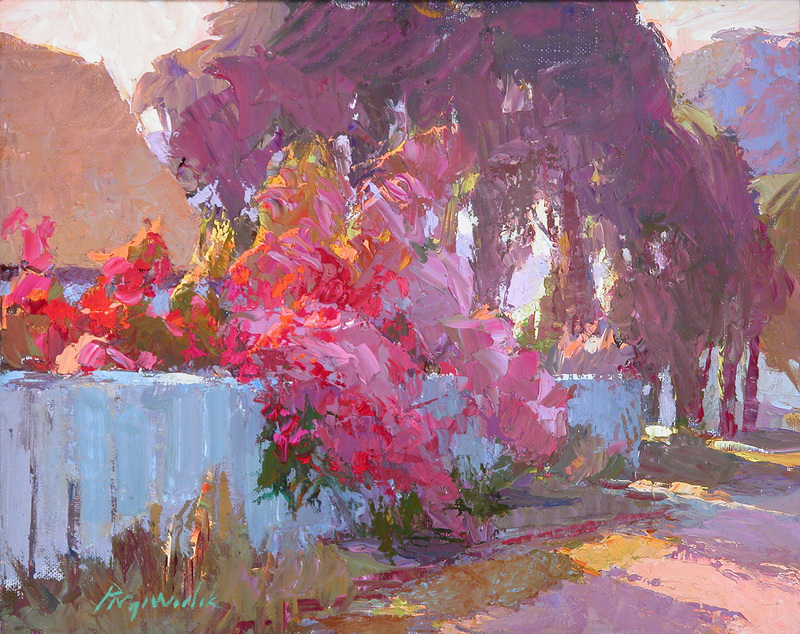 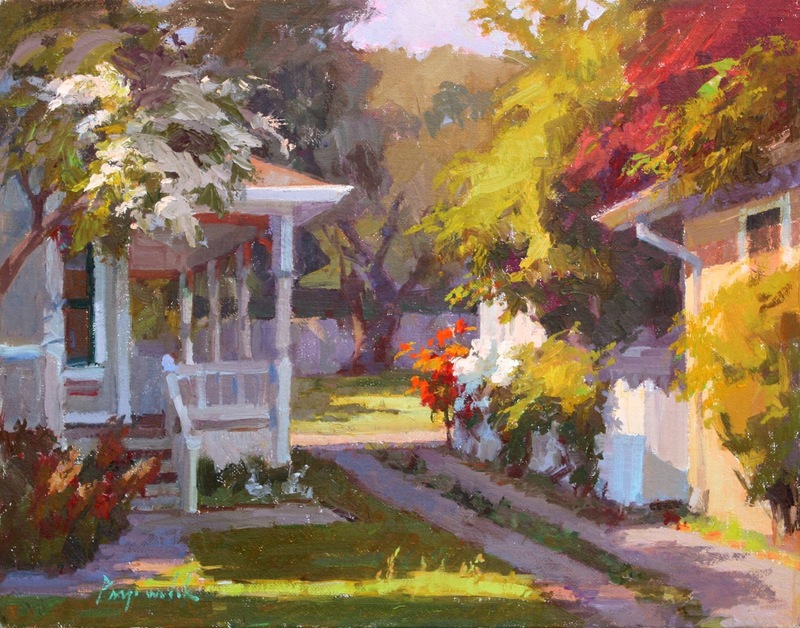 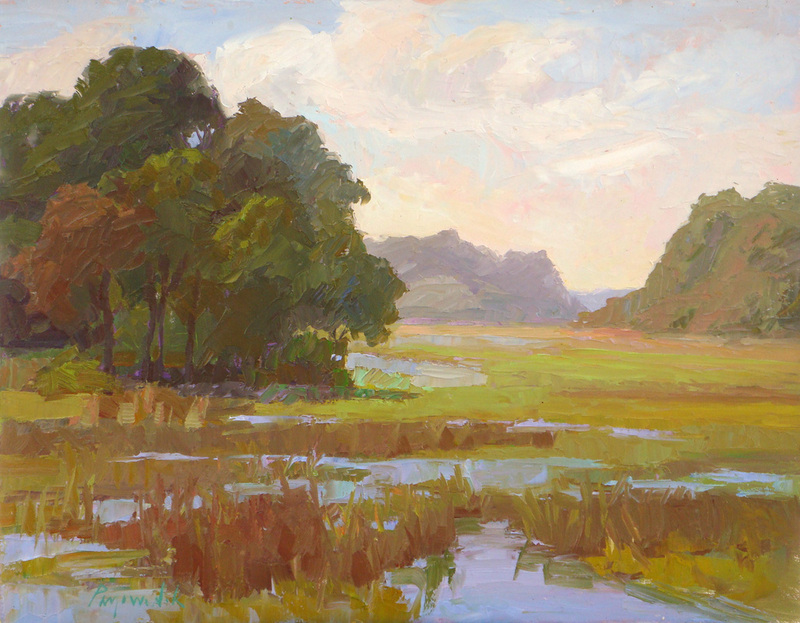 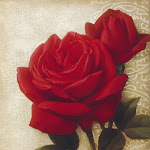 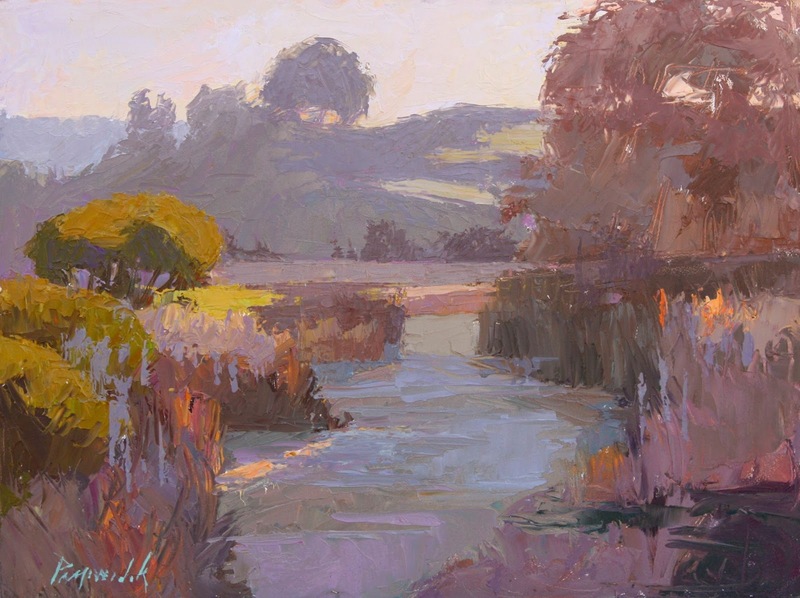 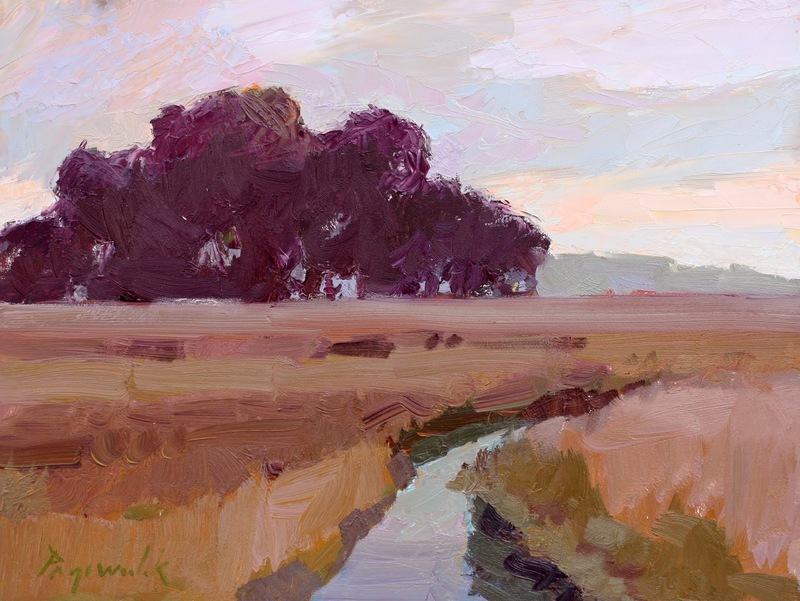 For two consecutive years she has been featured as an on-stage demonstrator at Plein Air Magazine’s Annual Plein Air Convention, as well as an invited instructor, lecturer and panelist on the Hensche-Hawthorne approach to seeing and painting color at American Artist magazine’s Weekend with the Masters. 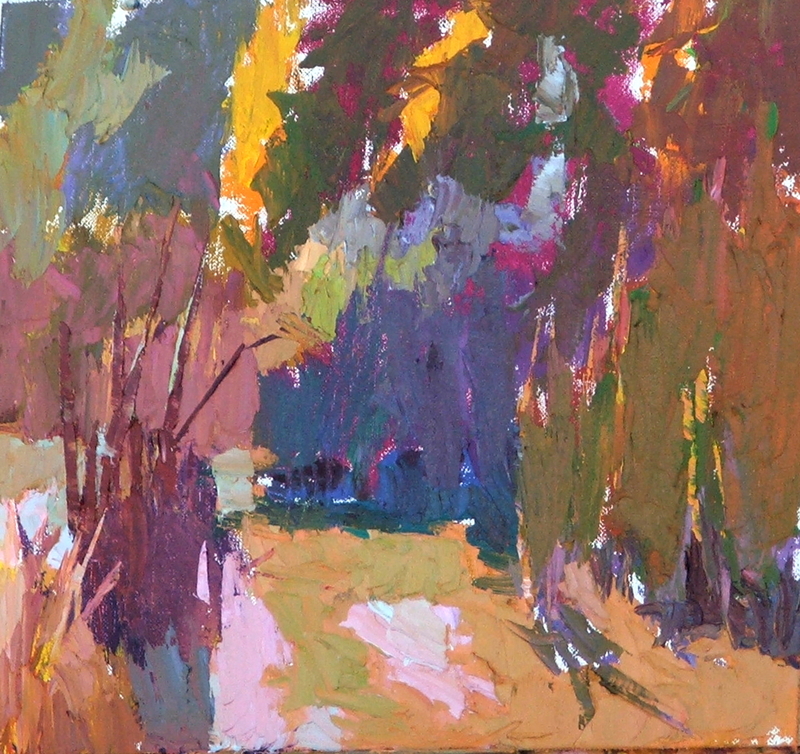 1982 4 Awards of Excellence, Academy of Art Annual.